As a code recognized lime replacement and as a performance admixture. Easy-Spred® enhances the workability of mortar while improving board-life. For example: In hot weather or when used with a high IRA brick, Easy-Spred® will greatly improve the performance of the mortar. Easy-Spred® will also help produce a mortar that offers high compressive and bond strength, reduced efflorescence, reduced drying shrinkage, reduced segregation and cost savings. And because of its colloidal properties, colored mortars produced with Easy-Spred® will be more vibrant and consistent: Easy-Spred® will reduce mottling and streaking of pigments. Easy-Spred also has great body, flow and pumping characteristics that are beneficial to grouts, tuck-pointing mortars and stone veneer mortars. As Easy-Spred® is conveniently packaged in seven pound bags, transportation and storage is very convenient. Easy-Spred® is also non-toxic and safe to the skin, helping to produce a more user friendly mortar. 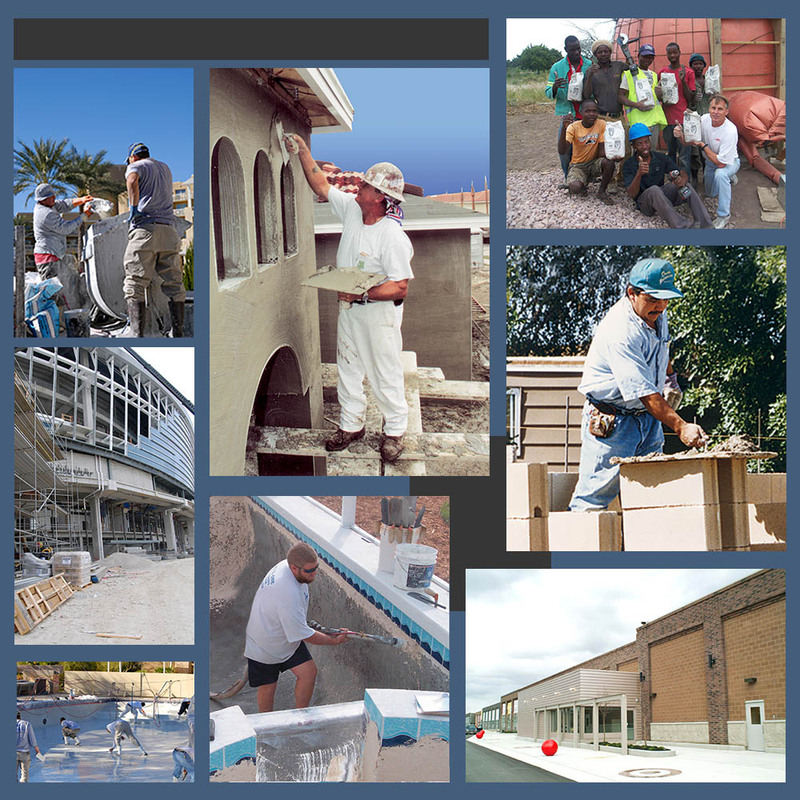 Easy-Spred® is used in many cementitious environments and is recognized by the International building code for use in all seismic zones and has undergone extensive testing. These tests include density, sulfate resistance, autoclave expansion, drying shrinkage, water retention, corrosion resistance, compressive strength and flexural bond. Easy-Spred® has also been independently tested for water penetration (permeability) and efflorescence. Easy-Spred® has met all performance criteria. 2 x 94 lb. bags of Portland cement. 1 x 7 lb. bag of Easy-Spred®. 6 cubic feet of mason sand. 2 x 94 lb. bag of Portland cement. 9 cubic feel of mason sand. 1 x 94 lb. bag of Portland cement. Approximately 1/4 x 7 lb. bag of Easy-Spred® per bag of cement. Approximately 1 x 7 lb. bag of Easy-Spred® per 10 to 12 x 80 lb. bags of pre-blended mortar mix. Adding to the mixer at least 1/2 to 2/3 of the total water to be used. Adding Easy-Spred® (while water bar on high if applicable). Allowing Easy-Spred® to mix briefly before adding additional ingredients. Adding remaining ingredients in the usual or specified manner. Mixing until the material has the desired consistency. Note: Total mixing time is typically recommended to be six minutes.